I got a new show coming up with my good friend Paul Greene, and his band The Dirty Shuffle! 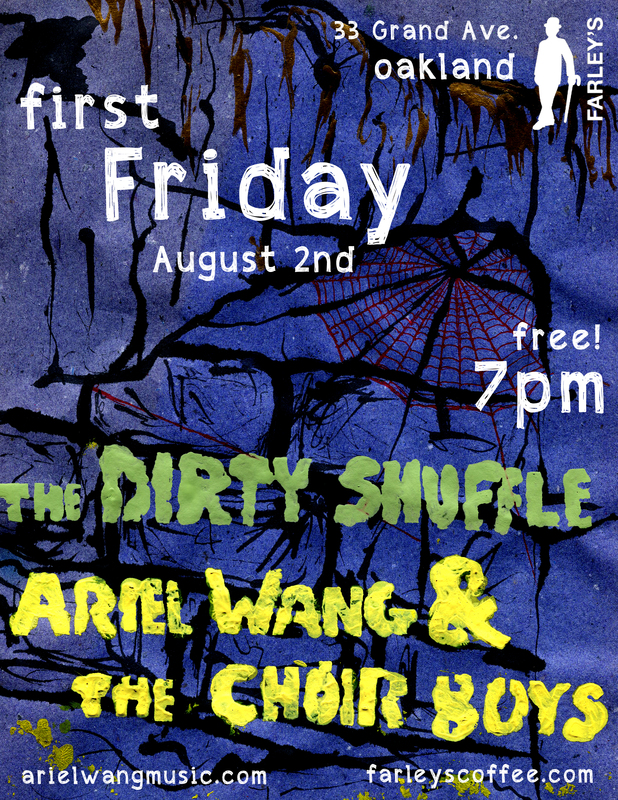 It’s a free show at the First Friday event, a great street festival which everyone must check out anyway! I’ll be at Farley’s East with the Choir Boys: Harrison Murphy (organ & melodica), Terrell Liedstrand (mandolin), Ian Saxton (drums), and Julian Fill (bass).